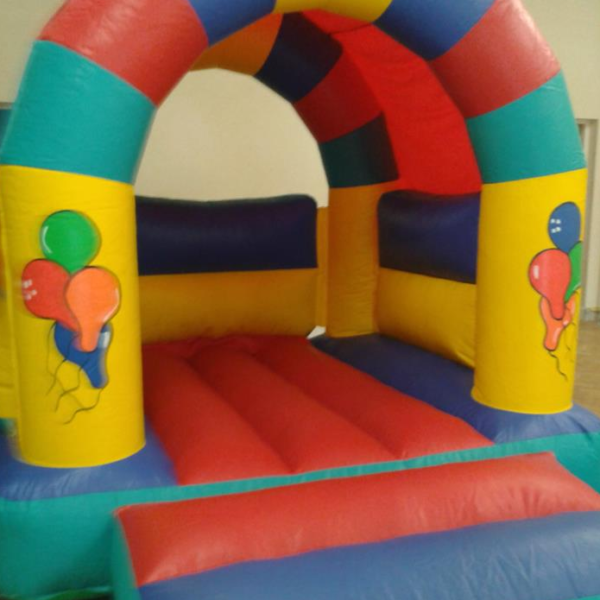 This fantastic, fun castle is one of our most popular hires, it seems to fit everywhere! 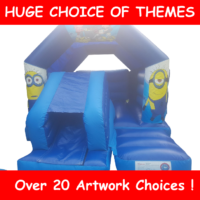 This is perfect for a smaller venue or garden and is great for children. 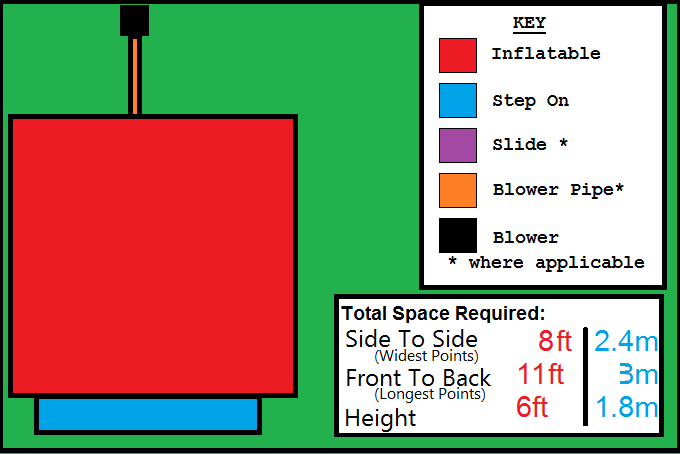 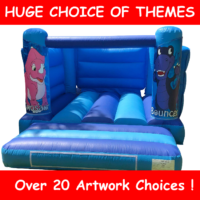 In a generic Balloon Themed unit this will blend with the rest of your party or event. 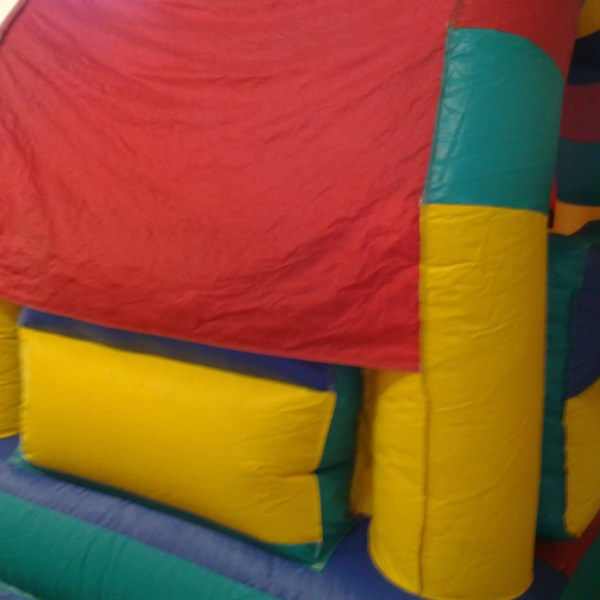 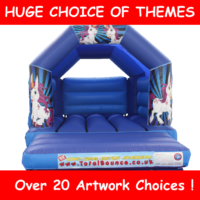 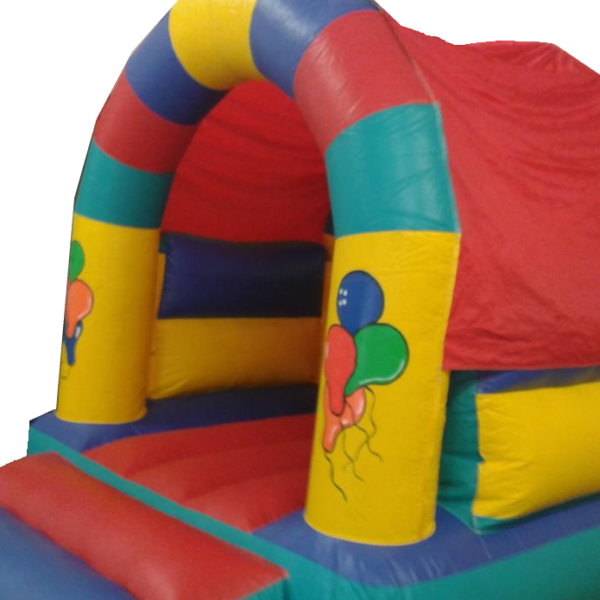 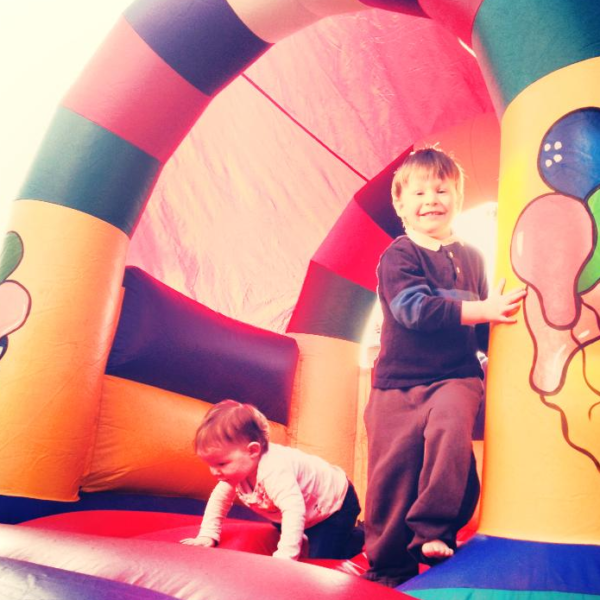 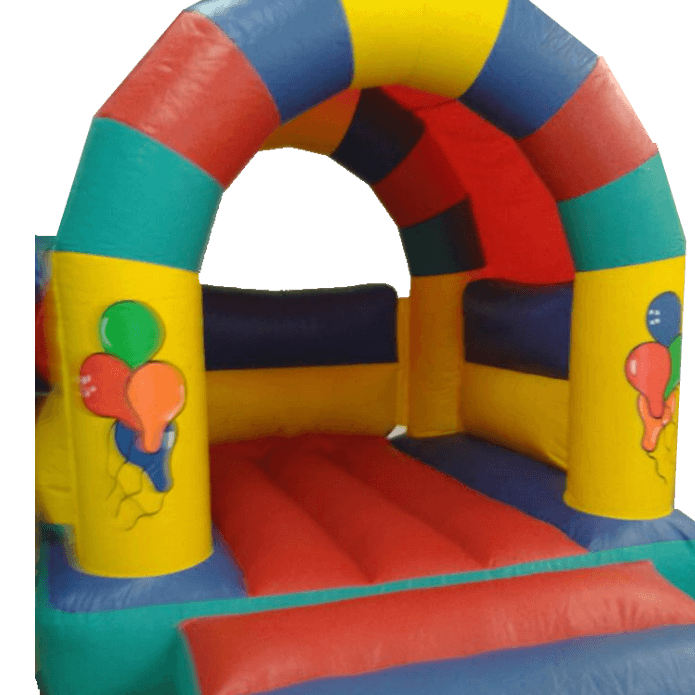 The Balloon Bouncy Castle is super fun and suitable from toddler upwards – this fair size castle is suitable for indoor or outdoor use, and is favoured by many. 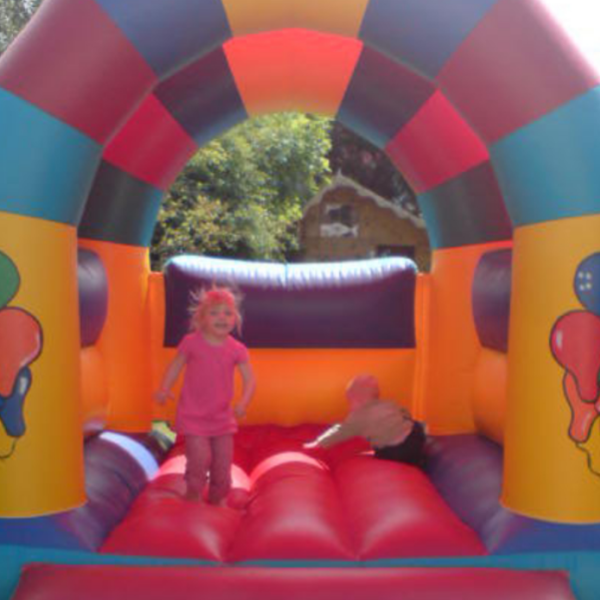 Due to its smaller than average size this is a favourite with the smaller gardens and community centres, or ‘not as main attraction’ as some may call it. 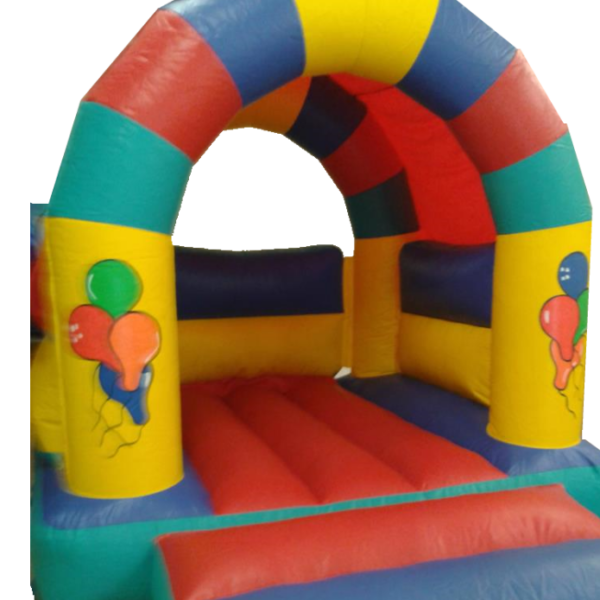 This is a lovely castle suitable for children, with its attractive colours and great classic design, this is sure to please your children and guests!